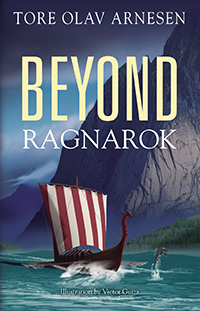 Tore Olav Arnesen’s “Beyond Ragnarok.” Jens, a professor of linguistics at Trondheim University makes a breakthrough not only in bird communications but also with Kong, a rescued and rehabilitated dolphin. Jens and Kong develop a strong bond and Jens uncovers that dolphins have mythological historical beliefs about the world. Jens is kidnapped and Kong is the only witness. Kong must violate his survival instincts and communicate with Jens’ family and colleagues. 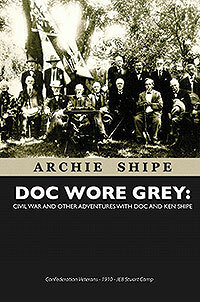 Archie (Ken) Shipe’s “Doc Wore Grey” is written by a direct descendant of Doc’s, Archie Ken Shipe. The story is a mixture of fiction and non-fiction. Doc fought from “Bull Run” to Appomattox for the Confederacy without a scratch and retired as a riverboat captain on the Potomac River.